The Black Shark 2 launched in the UK on April 9, but it might not be the only Black Shark product this year, as we've received word that the company is also working on a 5G phone. In an interview with David Li, VP of Black Shark Global, we asked about the company's 5G plans, and we were told that we could expect to see it put out a phone with 5G connectivity before the Black Shark 3. Could the Samsung Galaxy Note 10 have a 5G counterpart? There was a gap of roughly six months between the release of the first Black Shark and the Black Shark 2, and if that's the same amount of time that we'll have to wait before the Black Shark 3, it means we could see a Black Shark 5G model in the next six months. Of course, the Black Shark 5G could be the phone we see in six months – or the company could use a different release schedule, as it is rather new and therefore hasn't cemented a schedule as other companies have. But with 5G quickly becoming an important feature in phones, and especially with the perks that 5G and cloud gaming could bring, we wouldn't be surprised to see the Black Shark 5G very soon. Well, 5G is already here. We were expecting South Korea to get the first 5G network, but Verizon in the US surprised everyone by releasing its network in Chicago several days early. We were also expecting the Samsung Galaxy S10 5G to be the first 5G phone available as it was to launch alongside South Korea's network, but the 5G mod to the Moto Z3 came out alongside the Chicago network, and TechRadar was the first publication in the world to use a 5G phone as intended. Over the course of 2019 and beyond, 5G will be rolled out to further territories, and so it makes sense that many companies are gearing up to release 5G phones. We contacted Black Shark for any further information they could provide us, and will update this story when we hear back. 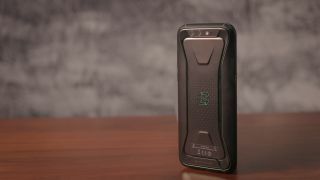 We don't know much about the Black Shark 5G phone now, other than that it exists and will be out before the Black Shark 3, but stay tuned to TechRadar for all the latest 5G and Black Shark news, reviews and rumors.